I wrote the above about six years ago, and despite thinking I had the art of egg poaching down to a fine art, I still didn’t really. I have bought egg timers, experimented with eggs poached in cling wrap (!) and usually resorted to the good old egg poacher. Yesterday, however, Dad returned from a trip to the Whitsundays fishing on South Pacific 11 with Ron Jenyns, Bobby Douglas and numerous other reprobates. Ron’s resident chef, Brett, served perfect soft poached eggs to at least twelve people for breakfast every morning. When everybody except Bobby and Dad went collecting those horrible black-lip oysters that grow in the Whitsundays, they cornered Brett and asked him to teach them to poach the perfect egg. This morning I was presented with two on toast. And they were perfect. Brett’s theory is that it is the vinegar that is added to the poaching water that sets the albumen (the white). The problem with most people is that they simply don’t add enough vinegar so the white floats around in a most unappetizing fashion. He uses 1 part vinegar to 15 parts water. If you think that is a lot, he says that most restaurants use 1 part vinegar to 7 parts water. Use the cheapest vinegar you can buy. The one he uses in the one I use for cleaning windows. Heat a large saucepan (forget the frying pan – you should have at least 10 cm of water to poach the eggs in. Work out just how much water you have used and do your sums. You’ll soon get used to using the right amount of vinegar. Bring the water/vinegar to the boil. Break the eggs straight into the water (none of this ‘break it into a cup and slide it into the water first’!) The eggs will sink like stones so slide a spoon under each egg to ensure it doesn’t stick to the bottom. Then turn down the heat until the water is barely moving. Once the eggs are in and not sticking, increase the heat to a gentle simmer. When they rise to the surface of the water, they are done and should be removed immediately to drain. Note: Eggs can be poached up to 24 hours in advance. 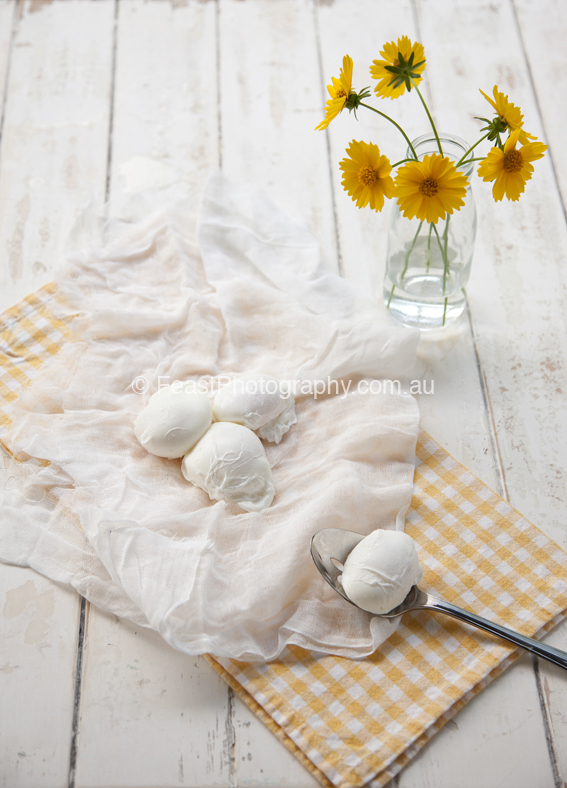 Slip eggs into a bowl of iced water to cool quickly and not cook further. Cover the bowl and store in the refrigerator. Reheat eggs by carefully lifting them from the water and sliding them into a pot of gently simmering water. Allow 1 minute to heat through, remove and drain well on absorbent paper. ← As I sit here…. I will be trying this out on the weekend, Sarah. I am interested in poaching ahead of time – takes the stress out of brunches at home! Previously I too have used the glad wrap option, but they always look a little wrinkly for my liking! This is the first recipe to be published. Nanya was my great grandmother and probably the one who first inspired my mum to become a brilliant cook. It was a lot of her handwritten recipes that made up the start of mum’s entries to the book. It’s so sad when these are simply disgarded or lost. So much time, effort and knowledge gone to waste!